March 1, 2012, was supposed to have brought to an end probably the worst capture season to ever been inflicted against the wild horses of Alberta. This unfathomable attack to decimate the wild horse herds by the SRD resulted in around 180 wild horses that have been removed from their natural environment with most going for slaughter. The government of Alberta keeps misleading the public and the media about the true reasons for this uncalled for event. Even the minister, Mr. Oberle, is blind to the actual facts about the history of the wild horses and the part they play in the natural ecosystem as it exists today. Instead he produces a form letter to those that write based on misinformation being provided to him by those who have ulterior motives for having this many horses removed. As I am sure you are aware, there is cull of Alberta’s wild horses currently going on. Ranchers and meat dealers have their own agendas and apparently the SDR has given them free rein to capture and send to slaughter any horses they can catch. This is WRONG, independent studies show that the numbers quoted are not genetically feasible when using as a base point the government’s own numbers from a few years ago. Have you ever been inside a slaughter house, Mr. Oberge. Heard horses scream because they are still alive while someone cuts off their feet with a saw? Don’t tell me it doesn’t happen, there is video proof that it does. However, that is a totally different fight. The wild horses of Alberta should be protected, they live on crown land-land that belongs to all Albertans-not just the few who have rights to graze cattle in large numbers on that land. Cattle do much more damage than horses do riparian areas and the landscape. I have raised both horses and cattle, so I am not uninformed. The horses are wild, they have been wild for generations. Please put a stop to this barbaric and small minded practice. Perhaps some media coverage of the conditions the horses are kept in before and during transport would make the Conservative government take notice. Pregnant mares stressed to a great degree, young foals and their mothers separated and desperate, the stallions frenzied because they can’t protect their mares and then they all end up with a bullet in the head which may or may not kill them. I don’t believe this is what any Albertan, save a small selfish handful, want to have happen to the wild horses of Alberta. Now this is the standard form letter sent by Mr. Oberle’s office, the minister who is responsible for the future of Alberta’s natural resources, including wildlife and the wild horses. 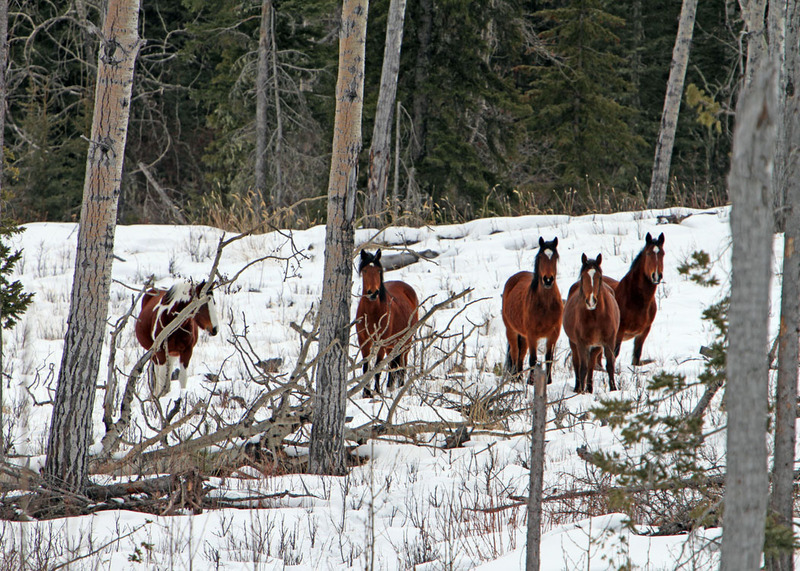 “Thank you for your email of March 15, 2012 regarding free roaming horses in Alberta. I am pleased to provide the following information. Horses indigenous to North America became extinct several thousand years ago. Although some people refer to free-roaming horses on today’s landscape as “wild,” these animals are descendants of domestic horses that have escaped captivity or have been turned loose and allowed to run freely. As soon as horses escape captivity – whether from early European explorers or by stock ranchers – they are defined as an introduced or exotic species. 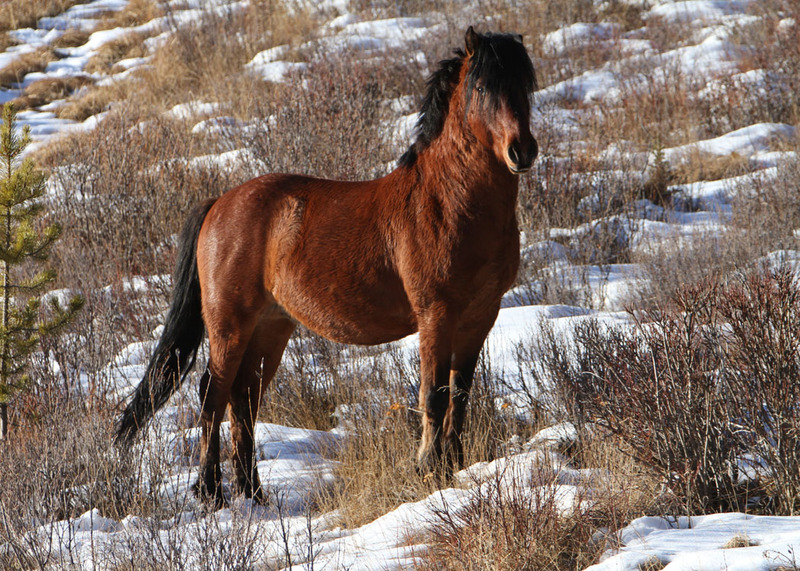 The Government of Alberta considers free-roaming horses to be feral and protects them through the Stray Animals Act and its associated Horse Capture Regulation. Under this legislation, Sustainable Resource Development designates areas of Crown land where licences may be obtained to capture feral horses. People who apply for horse capture licences are screened to ensure they use safe and humane methods of capture, have a satisfactory level of experience in capturing horses and have adequate facilities to care for captured horses. 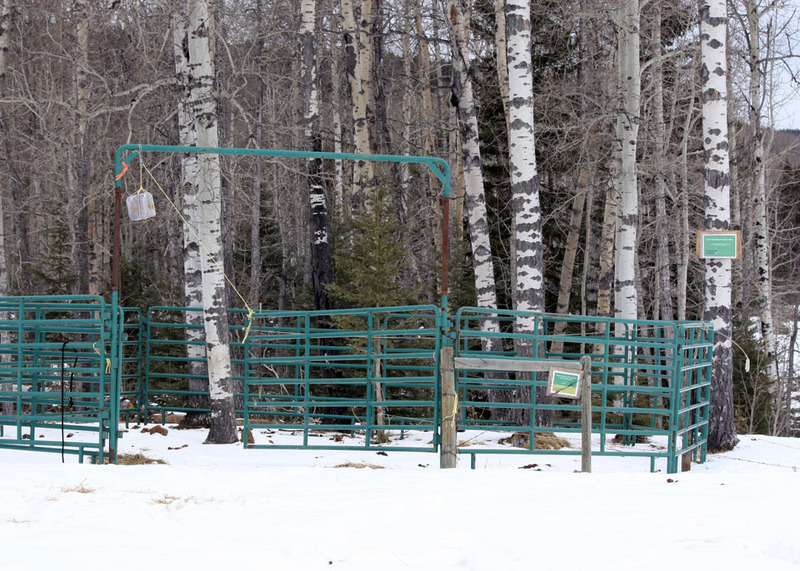 Sustainable Resource Development staff monitor horse‑capture operations to ensure horses are treated humanely and if any branded horses are captured, the department notifies Alberta’s Livestock Identification Services. On average, 30 horses have been captured in each of the past few years. 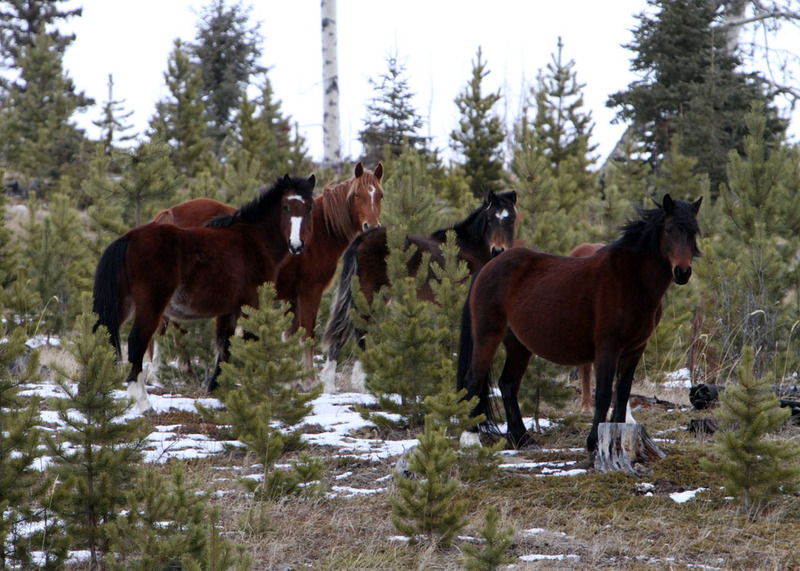 Alberta’s increasing feral horse populations are resulting in a number of impacts on resources. In 2010, more than 1,000 feral horses were identified in the south of Alberta’s Eastern Slopes – up significantly from the 650 in 2009. 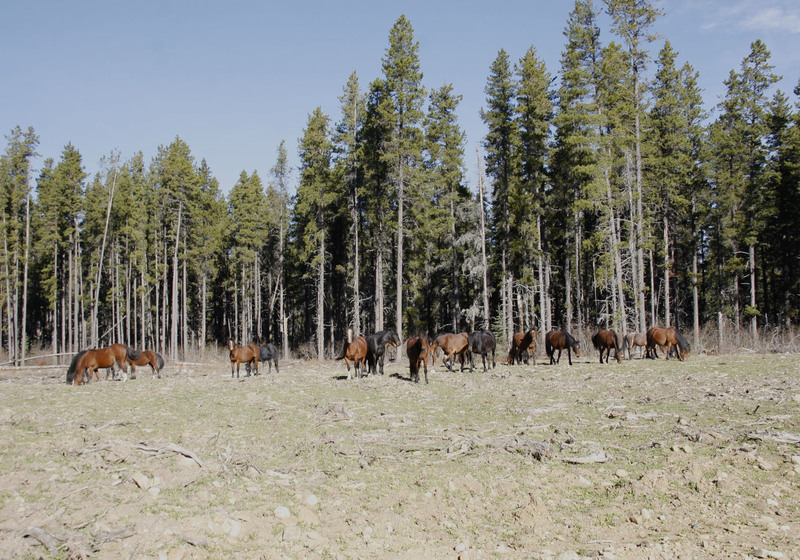 This growing number of horses compete with native wildlife for habitat and can damage rangeland and reduce the forage available for livestock. They can also impede forest regeneration by damaging young trees. 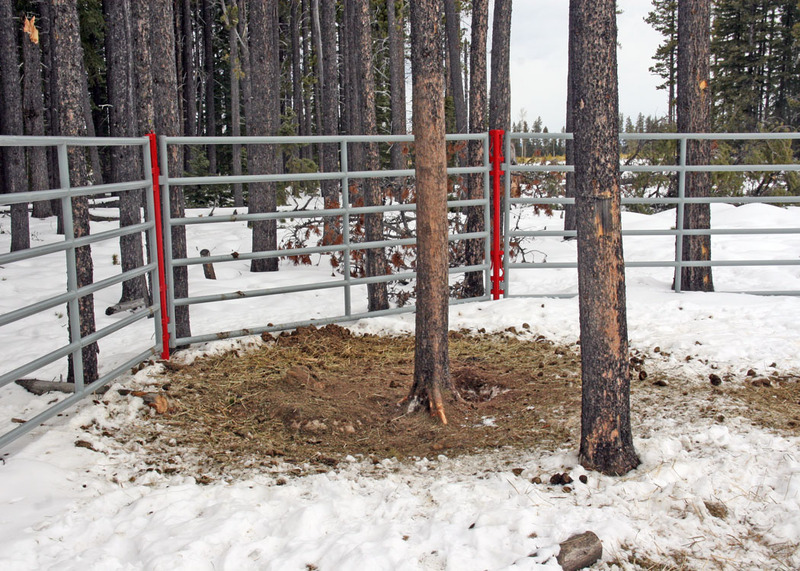 Feral horses pose a public safety risk on Alberta’s highways, which was especially apparent last winter when heavy snow conditions drove the animals east toward public roadways. Be assured it is our government’s intent to help ensure the survival of these animals while balancing their impact on the environment. Thank you for the opportunity to share this information about feral horses. This letter also quotes the Stray Animal Act and the Horse Capture Regulations as a means to manage the wild horse herds. Several spokespersons for that department have said that this is all that is needed to provide the wild horses with proper protection. How come these regulations have been completely disregarded this year and last? No fees were charged to the horse capture permit holders. In fact, many were encouraged by SRD to partake in the trapping of the horses and we believe even assisted in purchasing new corral panels for capture pens. Even the fact that the pens had to be checked to ensure the safety of the captured horses was not followed. Horses were left tied to trees and who knows what other torture they may have gone through before being herded into trailers and hauled away to the meat buyers. In our travels even after March 1st when the season was supposed to have ended, we found capture pens still active. Hopefully, these atrocities against these wild horses that belong to all Albertans who inhabit our public lands will through public pressure not occur again. Just a note that upon hearing how the SRD counts the horses, they use formulas based on what they see in one area and multiply it to include all the lands they believe the horses may inhabit. This does not work. Despite this year’s attempt to satisfy the needs of some government officials to meet their own agenda, and prejudices against the wild horses, some still are able to remain free and survive under difficult conditions. Our wild horses should represent to us a proud history of the association between the horse and man as we settled and developed Alberta. They should not be considered a nuisance by a very few as they truly belong in the land in which they inhabit. We thank all of you who have supported us and the wild horses in our attempts to ensure their survival. Please do not stop in your efforts of trying to change the attitudes toward the wild horses by the SRD and the Alberta government.